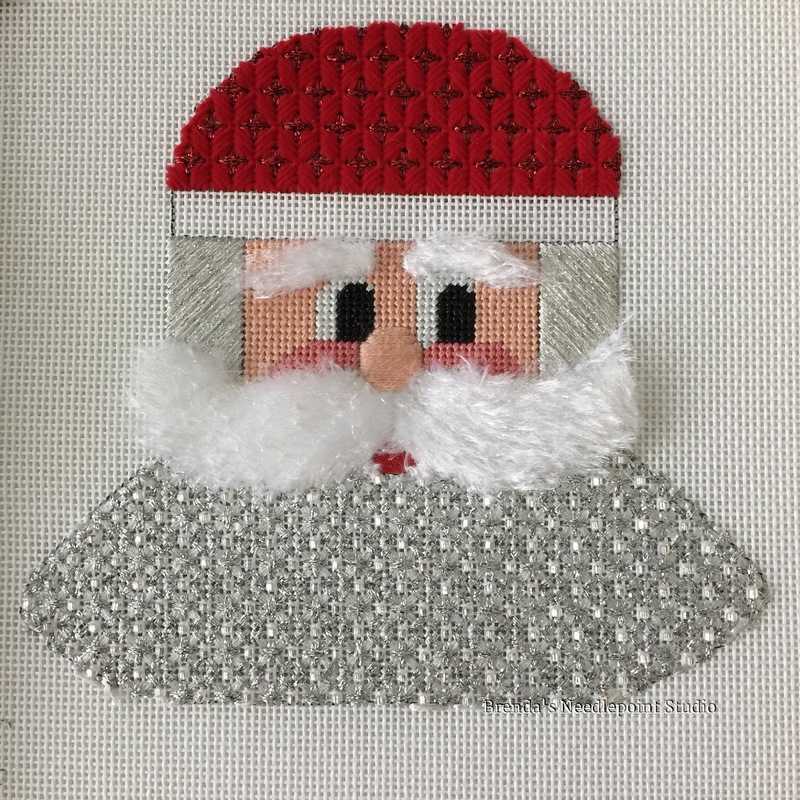 October 22, 2015--Finally finished stitching this delightful santa. 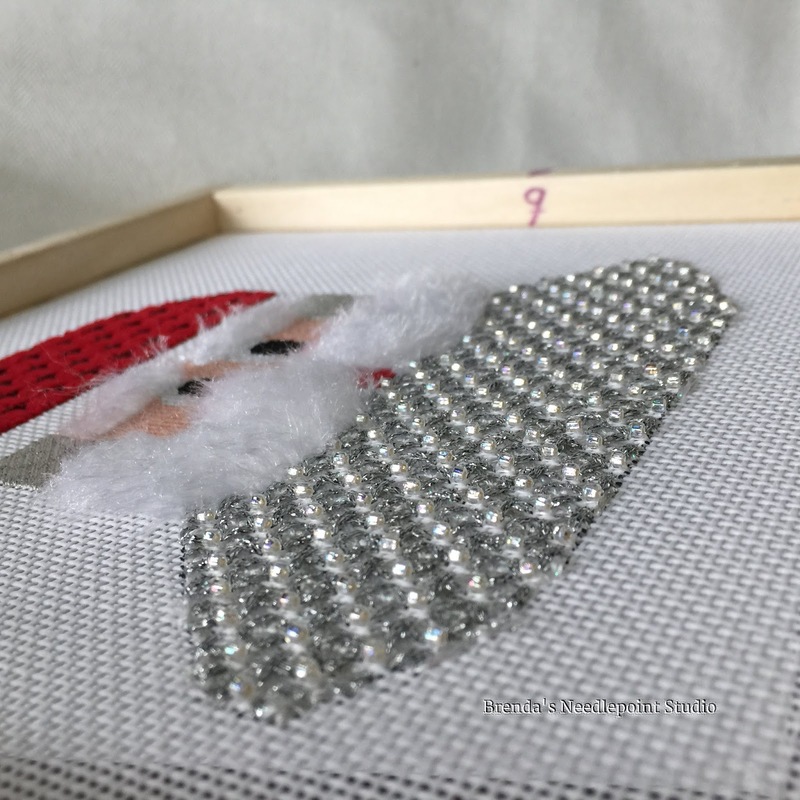 There's lots of dimension on this santa as can be seen in the second picture (but the beads aren't showing). Will eventually have this santa and others made into ornaments. How adorable they'll look on my tree. July 29, 2015--Along with the hat, all of santa's hair is stitched--beard, mustache, sideburns and eyebrows. The last thing to do is the fur on the hat. The beard is very shiny and had to take a side view so the beads would be visible. May 11, 2015--Signed up to take this class from the Shining Needle Society in December, 2014 and am just now able to work on it. Only the face has been stitched, but it's nice to see santa "come alive". 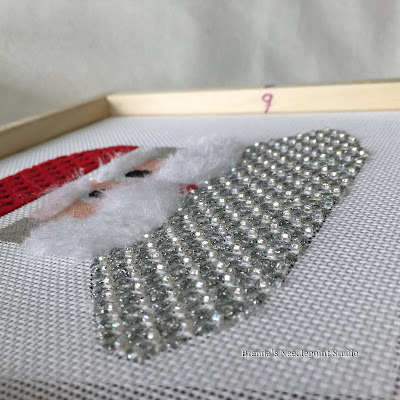 Love these Janet Zickler Casey santas--they are fast to stitch and Janet's instructions are so easy to follow.